A recent expedition of the asssociation into deepest Black Country territory was well worth it, if only to discover this largely unmolested 3-manual Nicholson & Lord dating from the firm's vintage period. 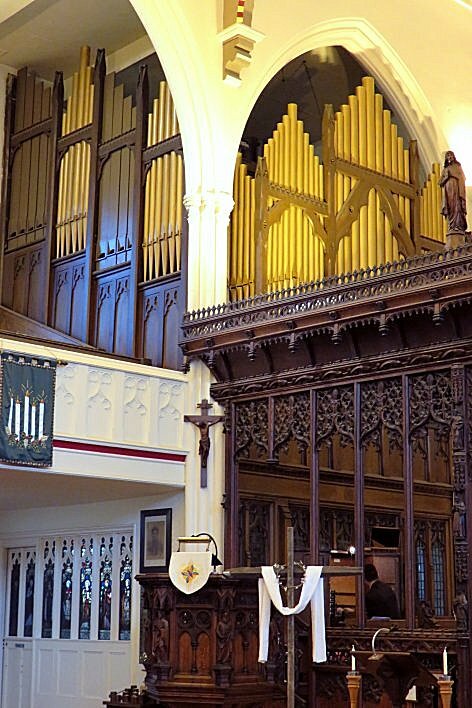 Christ Church has had an organ since 1830, but the present instrument (described on a nearby plaque as "new") dates from 1891 when it was "built by Messrs Nicholson and Ward [sic] of Walsall" at a cost of £562 5s, equivalent value today would be about £62,000 - so a real bargain! 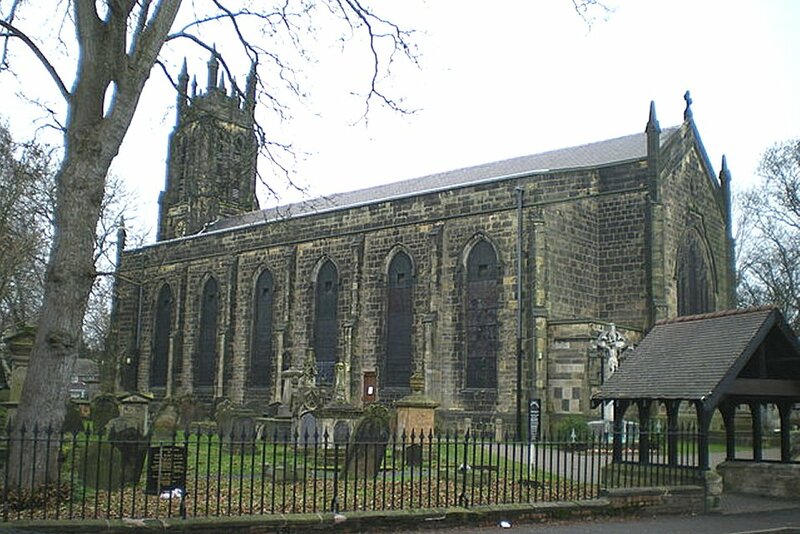 Another plaque says it was "completely restored" in 1993, but while the names of the then organist & vicar are included, the name of the builder is not. Its most recent entry in the NPOR registery is dated 1951, from which one might reasonably assume that the 1993 restoration added a Trombone/Tromba unit - and possibly also a Twelfth to the Great, although the fact that the latter is labelled "3ft" suggests otherwise (possibly an omission from the 1951 survey?). The original seven composition pedals have been replaced by a modern piston system. 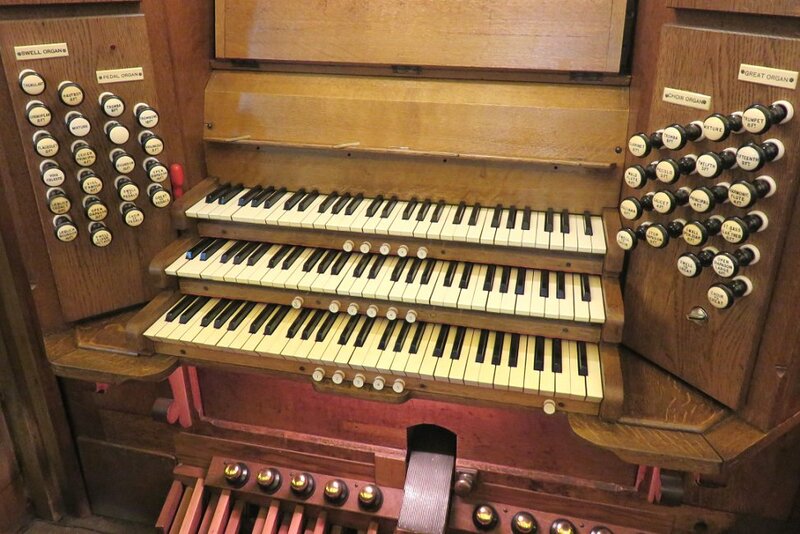 It thus provides one of the best local examples extant of a substantial instrument by this Walsall builder, and during our visit we were fortunate to hear it played by distinguished BOA members Paul Carr and James Luxton.